Great Offers on Used Vehicles are Now Available at Shore Toyota! Shoppers around Vineland and Tunersville who are on the lookout for exceptional deals on used vehicles are encouraged to visit us today at Shore Toyota. We are a used car dealer in Mays Landing, New Jersey. Our inventory showcases a hand-picked selection of pre-owned cars, trucks, and SUVs manufactured by Toyota and other celebrated brands. Offered along with our discounted prices, you can save more on an excellent product when you shop with us, so do not miss out and browse what we have in stock today! Perhaps you've been looking for an opportunity to upgrade your older Toyota model or you're looking to find a newer type of vehicle to replace your current one. 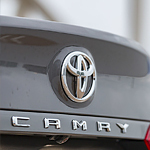 The popular mid-size 2018 Camry has an exterior that is something to get excited about! Informed car buyers are more and more turning towards full size sedans as their vehicle of choice. This is because it often has the best of both worlds including a high-performance package with a top-notch interior. That is why we here at Shore Toyota are so excited to announce the arrival of the new 2019 Toyota Avalon! Do you love shopping for new cars? Are you looking for something safe, secure, and comfortable? Are you wondering how you can find a vehicle that has it all, but that also looks great? 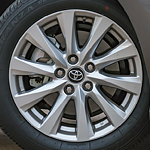 It's time to consider the Toyota RAV4. This vehicle offers an assortment of benefits both inside and out. 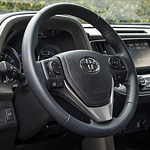 In the 2018 Toyota Tundra, you'll never have to worry about getting lost again. This popular full-sized pickup truck has an advanced infotainment center that provides you with all the information you need to get around. The technology will let you explore cities and off-road paths with confidence. When you are looking for a new subcompact sport utility vehicle, you want one that looks as good as it handles. In that respect, the Toyota C-HR delivers plenty of options that make it one of the most highly sought-after SUVs in its class. In a sea of car options out there, finding one that stands out can be a challenge while shopping for a new vehicle. However, the 2018 Toyota Corolla does so seamlessly. With standard innovative safety features and a diverse selection of other high-tech features for entertainment and connectivity, you can enjoy a gamut of amenities when choosing this as your new car. Do you want a new pickup truck capable of tackling rugged terrain simply, as well as the ability to make work a breeze? With six models to explore with the 2018 Toyota Tacoma, there is something for a variety of driving and working needs. Would you like to learn some highlights from each of these compelling models? Explore more below!